Montreal-based lumber, paper and pulp producer Tembec has received an $807 million US offer to take over the company from Florida-based conglomerate Rayonier Advanced Materials. Jacksonville-based Rayonier is offering Tembec shareholders $4.05 Cdn per share, or 0.2302 shares in the new combined company for every share that they own. The deal, which would see Rayonier assume $487 million US of Tembec's debt, would keep Tembec's headquarters in Montreal and maintain its existing facilities. "They're all profitable," Rayonier CEO Paul Boynton said on a conference call, referring to Tembec's various operations in Ontario, Quebec and France. "We plan to run them all [and] invest in them all." The proposed deal comes in the middle of another flare-up in the longstanding softwood lumber dispute between the U.S. and Canada. 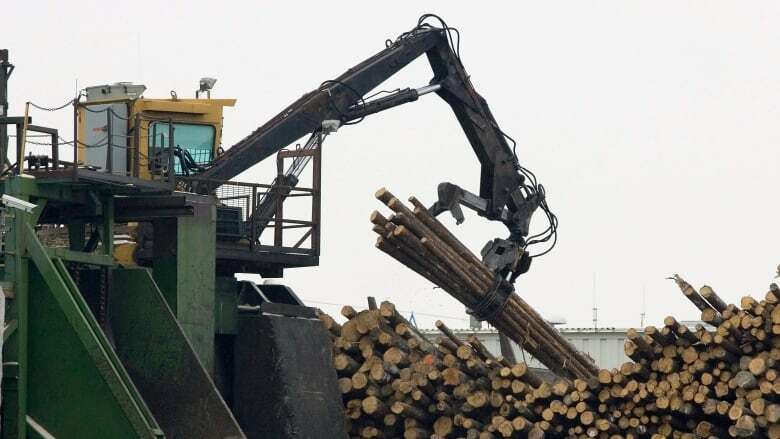 Last month, Tembec was hit with a 19.88 per cent preliminary duty on shipments of softwood lumber that it sends to the U.S.
Toronto-based investment firm Fairfax Financial is Tembec's largest shareholder with almost 20 per cent of the company, and it supports the transaction. The boards of both companies have unanimously recommended the deal, but it still requires approval from shareholders and regulatory bodies on both sides of the border. If it gets over all those hurdles, the deal is expected to close in the second half of 2017.